In a new poll, majorities of respondents of all religions, except white evangelicals, support marriage equality. Prescient sociologist Darren Sherkat called gay marriage majority last month; confirmed by new ABC News poll. 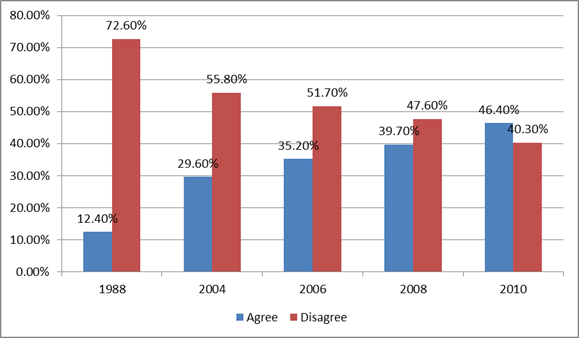 Analysis of General Social Survey data shows dramatic shift in 2010.